Home » Connectivity » “MTN set to acquire…” Rumours All Over Again. We Hope It’s A Solid Deal This Time. 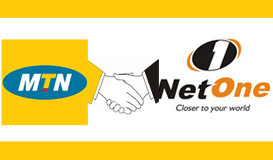 “MTN set to acquire…” Rumours All Over Again. We Hope It’s A Solid Deal This Time. The rumours about MTN‘s interest in acquiring a stake in one of Zimbabwe’s mobile operators have resurfaced, only this time it’s the government owned NetOne up for grabs. So yes, we’re gleefully wagging our tails yet again, hoping this is not just another Telecel story. MTN was last year reported to be courting Telecel in a deal to acquire a controlling stake in the second largest (by number of subscribers) mobile operator. There was a lot of hype around the deal, with subscribers vowing to switch from whatever network they were on to the new Telecel. But the excitement had to die down. What with the long wait? The then ‘imminent’ deal never was. The high hopes we had have been revived; the anticipation that a player with enough muscle will give Econet a run for its money and that the benefits of the neck and neck tight competition will only be reaped by the subscribers. Econet’s unchecked (except by POTRAZ of course) dominance in the mobile telecoms industry is not good for Econet, their competitors and subscribers alike. We all end up getting comfortable and accepting whatever service standards the market leader imposes, oblivious that even better technology and services are available out there. With the other operators lagging way behind, Econet can afford to sit back with their feet on the table, preferring to put off daring innovative ideas till another day. You don’t need to look far to understand this; Econet suspended activation of subscribers to internet data services just a month after its launch and hasn’t resumed since. To be fair, I don’t think it’s Econet’s fault. Being miles ahead of your competition has a way of allowing you to recline into a comfortable complacent slumber from which only deep pocketed giants like MTN can wake you. In other related rumours, Zimbabwe and South African Telkom are said to be closing a deal on Telkoms acquisition of a 60% stake in government owned fixed line operator TelOne. Confusingly, other sources have a different story altogether; that Telkom is actually interests in a controlling stake it NetOne. Time will tell.